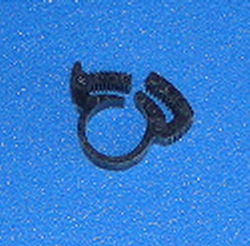 Box of 100, Reusable "thumb clamp" hose clamp for 3/8" ID (and other) hoses. Check the specs of the hose you are using: Max OD: .551", Min. OD: .486".